Packaged in Gift Box and includes 2 AAA batteries and pocket clip – ideal for corporate gifts! Don’t let its size decive you. All the features that make the Mini Mag-Lite AA flashlight a marvel of engineering can be found in our AAA version as well. 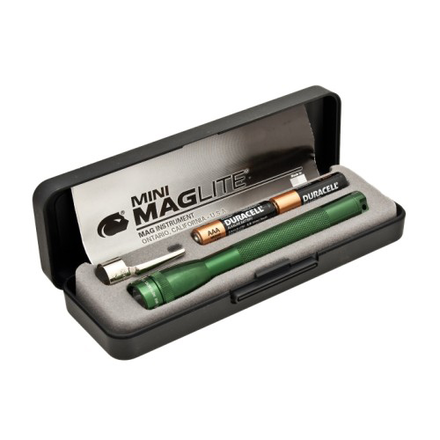 Equally impressive is the fact that the Mini Mag-Lite AAA has a beam equal to that of many larger flashlights. (This is due in part to its superior optics and custom reflector.) And it fits easily into a pocket or small purse.